…and the rest of the Bay One Acts, which close this weekend! Meanwhile, checkout this review, which includes a nice nod to “Shooter” and director Rik Lopes! “Shooter” by Daniel Hirsch, directed by Rik Lopes, and featuring Melvin Badiola, Randy J. Blair, and John Lowell, will play, along with an assortment of other excellent one-acts in this year’s festival, October 3 and 5 at the Tides Theater in San Francisco. To find out more about this show, and all the great shows that will be a part of this cornerstone event for the San Francisco Bay Area Theater scene, check out http://bayoneacts.org/. Don’t Miss “Shooter” At This Year’s Bay One Acts Festival! 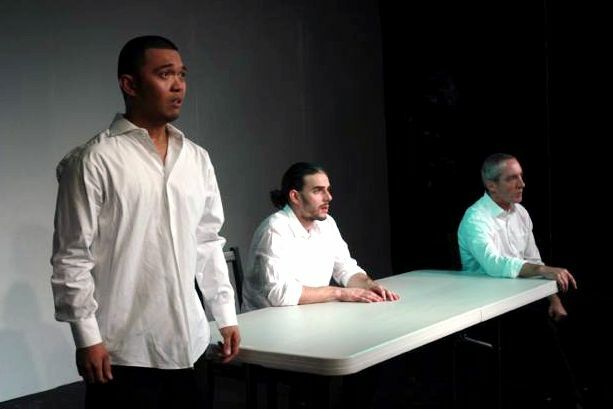 “Shooter” by Daniel Hirsch, directed by Rik Lopes, and featuring Melvin Badiola, Randy J. Blair, and John Lowell, will play, along with an assortment of other excellent one-acts in this year’s festival, September 25, 27, 29 and October 3 and 5 at the Tides Theater in San Francisco. To find out more about this show, and all the great shows that will be a part of this cornerstone event for the San Francisco Bay Area Theater scene, check out http://bayoneacts.org/. Randy Blair, who is one of three actors in “Shooter”, talks about the play, his process and creating a role in the next Theater Pub show. Give us a brief impression of who you are, in a hundred words or less. A 27 year old actor who studied at the American Academy of Dramatic Arts in New York for three years, and moved to San Francisco to shoot a feature film, Super Hero Party Clown. Is this your first time working at BOA? What’s that like? If it it’s not your first time, what brought you back to such a unique festival setting? Yes this is my first time working with BOA and the experience is great, I love being on stage. You’re the first people to appear in a production of Shooter- what’s the best thing about “creating” a role this role as an actor? To be the first is great, there is no comparison to another actor who may have done the role before. you get to put your stamp on it, and that takes a little pressure off. How fast time flies during the rehearsal process! And learning with other actors and directors is great, you learn from one another, but it’s always an adjustment. What’s been a particularly interesting element of this rehearsal process? There are always challenges no matter what type of play your doing, an actors job is never done. This piece is constructed in a way that is sort of like a dance where the dancers are unaware of each other yet connected. Excited by where this can go. Shooter is an ensemble piece. How does being in an ensemble piece differ from, say, playing a lead in a show, or having a “minor” role? The responsibility for each actor is the same for any piece, you have to be prepared; you have to know the play inside out. Knowing the play and knowing the other actors lines will help you know when to catch a dropped line and keep the momentum going. Do you get a chance to see the other shows in the Festival this year? Anything got you excited besides your own? I’m looking forward to all the shows! I am always excited to see new theater! What about in the upcoming theater season in general? American Buffalo at the Aurora! Looking for the next job! “Shooter”, along with an assortment of other excellent one-acts in this year’s festival, opened this past weekend on September 15, and will continue to play September 19, 21, 25, 27, 29 and October 3 and 5 at the Tides Theater in San Francisco. To find out more about this show, and all the great shows that will be a part of this cornerstone event for the San Francisco Bay Area Theater scene, check outhttp://bayoneacts.org/. 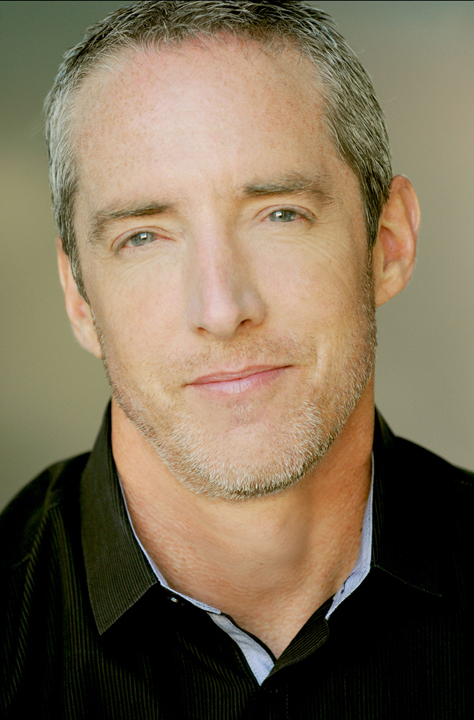 John Lowell, who is one of three actors in “Shooter”, talks about the play, his process and creating a role in the next Theater Pub show. I was born and raised in Portland, OR and I’ve lived in San Francisco on and off for a combined twenty years. I’ve also lived and worked in parts of Europe, Asia and E. Africa. I acted in and developed plays as a kid but moved away from it until years later when I took a theater class to balance out the dry world of business school. It was like the flood scene in “O Brother, Where Art Thou?”; it swept me away, limbs flailing with joy. Thank God. John Lowell, lost in the flood. It is my first time with BOA. The perception that drew me to it is proving to be the reality – a diverse and exciting set of plays and artists coming together. I’m loving it so far. You’re the first people to appear in a production of “Shooter”- what’s the best thing about “creating” a role this role as an actor? I always try to either avoid watching previous versions of a role or if I’ve already seen some to file those images away and approach it as freshly as possible. So for me it’s great to be able to come to it initially with only the images that have developed from reading the script and build from there. Not so much from being the first to do it (per above), but specific to this role I’m finding entering this character’s world to be emotionally difficult. But I cherish opportunities to take artfully written material and immerse myself in the character, whoever they may be. “Shooter” is an ensemble piece. How does being in an ensemble piece differ from, say, playing a lead in a show, or having a “minor” role? It’s interesting to remove those usual elements, made more so by the fact that our stories unfold intertwined but without conscious acknowledgement of each other. But we naturally at some level acknowledge and are affected by each other. And our dialogue is connected. Will try to see all I can. The read-throughs made me want to see all of them. So much I’d like to see but I need to get out there more. I’m excited to be in another play at BOA, “Break of Day” by Jeff Carter, directed by Brian Trybom, acting with Shane Fahey. I will be doing a reading of Blood of My Subjects by Richard White with PCSF on 10/14, and also doing the 24-Hour Play Fest with PCSF on 9/28. I’m assistant directing on the next production at Tides Theatre, Gruesome Playground Injuries by Rajiv Joseph, directed by Jennifer Welch and featuring Cary Cronholm Rose and Wylie Herman, running 10/10-11/09. “Shooter” will play, along with an assortment of other excellent one-acts in this year’s festival, September 15, 19, 21, 25, 27, 29 and October 3 and 5 at the Tides Theater in San Francisco. To find out more about this show, and all the great shows that will be a part of this cornerstone event for the San Francisco Bay Area Theater scene, check outhttp://bayoneacts.org/. Happy Labor Day everyone! 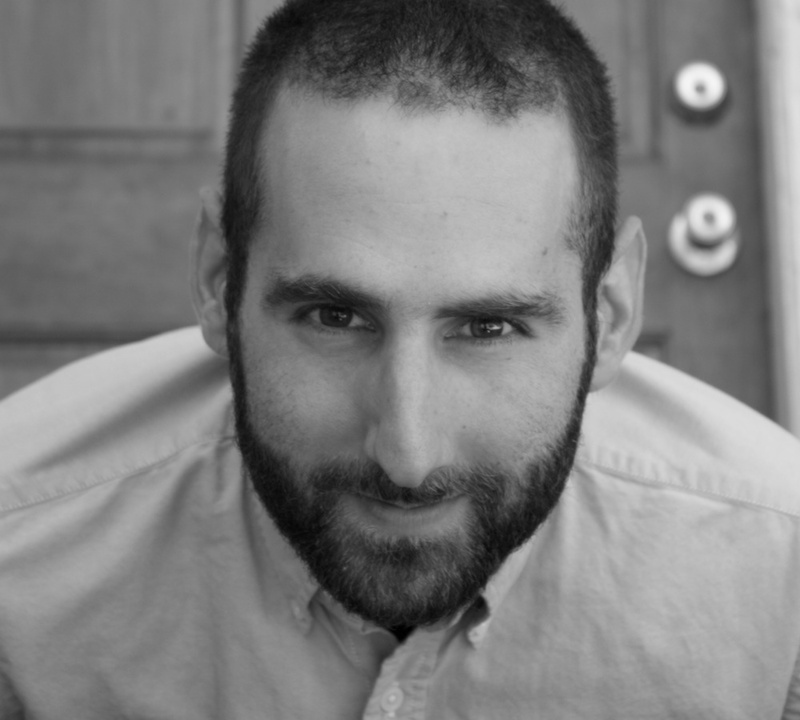 We’re excited to share this interview with Dan Hirsch, a new addition to the local playwriting scene, whose new play shooter is our contribution to this year’s Olympians Festival. Enjoy! Originally from Massachusetts, but a Bay Area resident for eight years, and a recent Silicon Valley escapee, I’m now living as a freelance writer in San Francisco. What this means exactly changes every day. Some days, I’m reporting news for a hyperlocal journalism site in the Mission where I live. Other days, it’s cute web copy. The tedious days, it’s pretending to find more freelance work but actually reading Buzzfeed. And on the nicest days, when I’m not trying to make any money at all, I write plays. This is you first time working with Theater Pub, yes? And BOA? What’s it like to be the new kid on the block? Dan Hirsch Is Happy To Meet You! So what made you write “Shooter”? I wrote “Shooter” in the summer of 2012, the summer that James Holmes opened fire in a movie theater in Aurora, Colorado, the summer that Wade Michael Page killed six people in a Sikh Temple in Wisconsin, and numerous other acts of gun violence seemed to consume the national imagination. But also, it was the summer a 19-year-old was shot and killed on my block, almost directly across from my house. In response to the national conversation about gun violence and the very local tragedy, I felt overwhelmed with a sense of confusion and helplessness, something I’m sure many of us felt. I couldn’t stop wondering: who are these people that commit this terrible violence? James Holmes left no record, he didn’t write any manifesto. Despite his proximity, the killer on my block was part of a completely different community and world that I knew nothing about. As a way just to tease out and think about this question, I wrote “Shooter.” While I read a lot about gun violence in America—I spent a lot of time looking at Guide to Mass Shootings in America by Mother Jones, for one—I feel like this research is totally inadequate. “Shooter” is ultimately just an act imagination, an attempt at empathy for people who challenge our ability to empathize most. Would you consider this work typical of your writing? How is it a “Dan Hirsch piece”… or is it? Are you asking if all my plays describe brutal acts of real world violence from the perpetrator’s perspective? Definitely, not. They’re not all this dark either. I actually sometimes write totally silly sketch comedy. I hope what unifies my work, maybe even the goofy stuff, is their relationship to the world around us. As I mentioned, I’m also a journalist and feel very invested in thinking about and responding to the way we live now, and I think a strain of non-fiction storytelling permeates my plays. In my journalism and playwriting, I like weaving many distinct voices together to tell a compelling story or engage with a complex issue. It’s your first time working with Rik Lopes, the director. What’s it been like for you, developing a piece with him? Rik is a baller. It’s been a pleasure working with him so far. He’s got great ideas and is totally interested in hearing my ideas and what went into the writing of this piece. Throughout auditions, the various readings, and meetings, I felt very much like we are the exact same wavelength about nearly everything—even in terms of facial hair. It’s been a total delight. What’s turning out to be the biggest challenge in creating a piece like this, and in a festival setting? To echo what Rik said in his TP interview, also to prove my point about the same wavelength thing, the challenge is about where “Shooter” fits in with the rest of the festival. While I hope it will make people think and respond in a variety of ways, the play is kind of intense. I love the diversity of the one acts in our program, and think “Shooter” definitely belongs somewhere in there, but it’s never fun to be that serious guy at the party talking about gun violence in America. What’s the greatest asset of being part of a short works festival? There’s 13 different theater companies, writers, and directors in this thing. As relatively new member of the theater scene, this has been such a great opportunity to get familiar with the work of a bunch of different artists all at once. There’s so many small, independent theater companies in the Bay Area, it can be hard to keep track of them all. BOA is like a lunch buffet of talent. All those people should also make it easier for us to fundraise. What else at the festival are you most excited to see? As the new guy, I need to be careful not to make anyone angry and I do really admire the incredible range of talent and ideas. I also missed the table read for Program One, so I can’t even comment on those. Of all the plays in our program, “Break of Day” by Jeff Carter is the one that I wish I had written, it’s so simple and sad and funny and everything you want in a one act. I was also totally entertained by Megan Cohen’s “My Year” and look forward to Lauren Gunderson’s “Two Pigeons Talk Politics” because it’s going to have puppets in it! On November 6, I’ll have two short works in the SF Olympians Festival, which I’m really looking forward to. A full length play of mine called Subtenant just had a developmental reading at the Playwrights’ Center of San Francisco which was hugely useful. I’m in the process of editing it now, and hope that it will have a life in production sometime in the near future. I’m a frequent contributor to the news site Mission Local, you can see some of my recent journalistic efforts there. 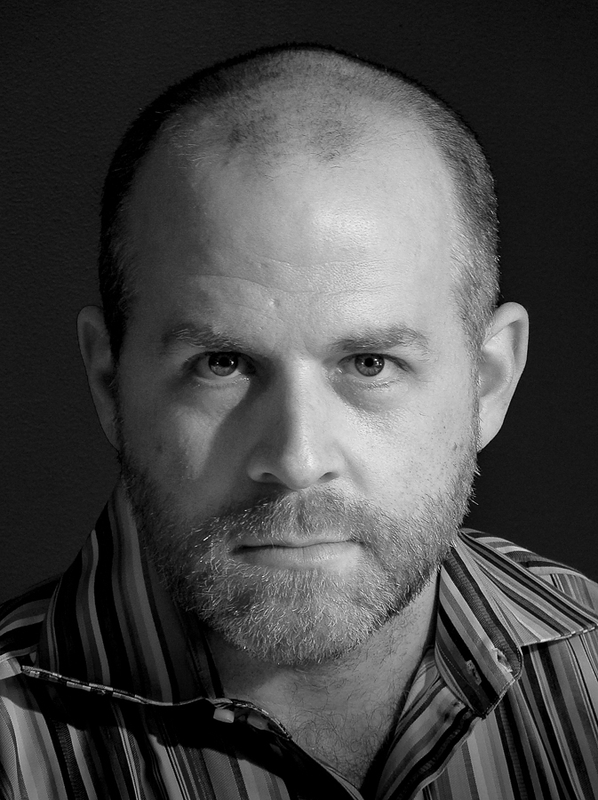 Director Rik Lopes Talks “Shooter” And SF Theater Pub at BOA 2013. Rik Lopes, a frequent collaborator with the San Francisco Theater Pub, talks about directing this year’s contribution to the Bay One Acts Festival. A dramatic and challenging piece, “Shooter” looks to be a real unique part of this year’s festival, and just in case you didn’t think it would be a serious piece of art, Rik sent us this amazingly serious headshot. 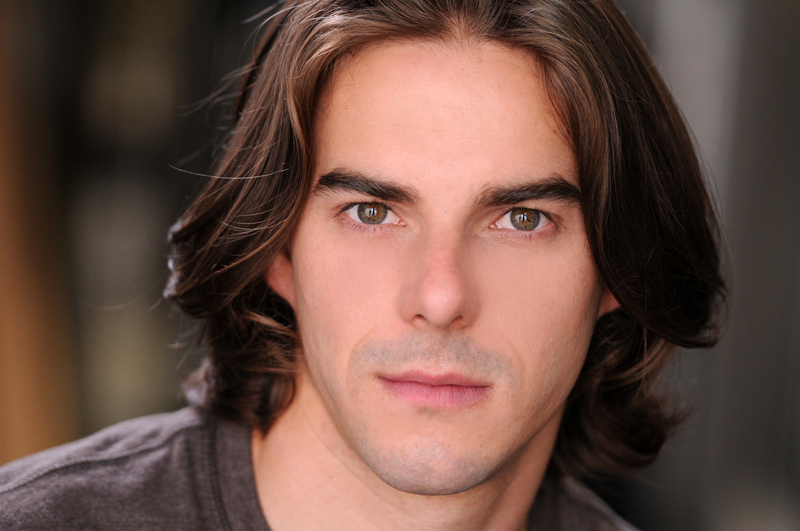 Rik Lopes: Director, Actor, Writer… CK1 model? Okay, so, tell the world who you are in 100 words or less. I have been making theatre in some form or other since I was 10 years old. I have been actively involved in the San Francisco theatre community since 2007, having come back to my senses after a goodly long hiatus. I am an actor, director, and playwright, but not necessarily in that order. This isn’t your first time working with Theater Pub, is it? What have you done with us in the past. I have appeared in several readings, including Hamlet and Cheese on Post, The Memorandum, and The Shunned House. I was also very fortunate to direct both the pint-sized scene and full production of Brian Markley’s The Nebraskan And Sam. This is your first time at BOA, correct? What’s that like? Indeed it is. I have often been regaled by friends with stories of how much fun BOA is and am excited to finally be a part of it. I must say, I am very impressed by the sheer vastness of it all. I went into the project expecting to direct a really cool show and quickly learned that I would also be making friends with theatre companies from all across the city. We know why producer Brian Markley picked this play, “Shooter” as the TP contribution to BOA, but what drew you to the piece? I am always drawn to the dark horse pieces. BOA is generally assumed to be a collection of comedic pieces and I was very glad to discover “Shooter”. I was immediately drawn to the serious and dark nature of it. I am also a big fan of tight spaces filled with people who never actually interact with each other physically. It’s a fantastic challenge for a director. It’s your first time working with Daniel Hirsch, the writer. How involved is he in the process? I first met Dan at the general auditions and was impressed with him right away. He is very open to my ideas and continued to rework the script until the very end. He’s a super talented guy and I’m very pleased to be partnering with him to bring this show to life. What’s turning out to be the biggest challenge in directing a piece like this, and in a festival setting? I have to say that I tend to veer toward the minimal as a director. The less “stuff”, the better. Let the text speak for itself, that is. Part of me wonders if such a pared down show will fit harmoniously with the other pieces, especially if we have an audience expecting a bit more of a belly laugh. If we pull this off, the simple, dressed down concept may very well be our best asset as well. It can really be a standout. How is this show still a Theater Pub show, despite not being performed in a bar? One of the greatest things about Theater Pub is the immersive element and the chance to take advantage of unconventional staging and blocking. There’s a remarkably wide angle on the lens, so to speak, and you can really play with that. With “Shooter”, it’s as if we have jumped into the mirror world of Theater Pub. We have three very strong personalities who each inhabit a stiflingly small space but experience it in their own time. The audience sees three different stories unfolding at once. I’m really looking forward to “Break Of Day”. It’s a solid script with a great cast. I know Bryan Trybom as an actor and have always loved him on stage. I’m excited to see him direct. “Shooter” will play, along with an assortment of other excellent one-acts in this year’s festival, September 15, 19, 21, 25, 27, 29 and October 3 and 5 at the Tides Theater in San Francisco. To find out more about this show, and all the great shows that will be a part of this cornerstone event for the San Francisco Bay Area Theater scene, check out http://bayoneacts.org/.